Touted to be an out-and-out campus thriller directed by Ajai Vasudev, 'Masterpiece' features Mammootty in the role of Edward Livingstone, a strict unfriendly teacher. Produced by CH Muhammed for the banner Royal Cinemas, Masterpiece is slated for release on December 21st. The much-anticipated movie also has Santhosh Pandit, Gokul Suresh, Unni Mukundan, Mukesh, Salim Kumar, Maqbool Salmaan, Kailash, Kalabhavan Shajohn and many others in the key roles. Varalaxmi Sarathkumar and Mahima Nambiar will appear in the female leads. Udhayakrishna, fresh from the success of Pulimurugan, has scripted this movie. Though there are several other much anticipated movies slated to release on Christmas weekend, the makers have planned a grand release for Masterpiece. 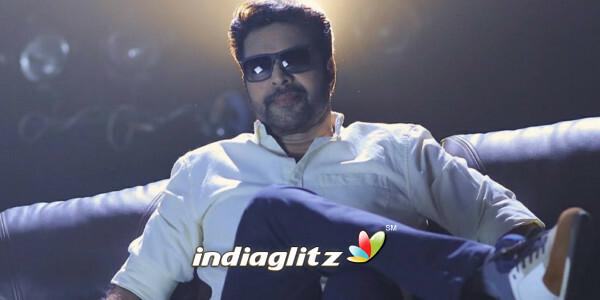 As the last release of Mammootty - Pullikaran Stara - was a box-office failure, fans have pinned high hopes on the upcoming venture. Let's wait and watch!